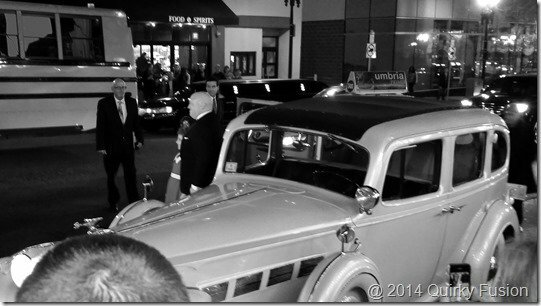 We had the great pleasure of attending the opening night of Annie in Boston this past week. It started with the arrival of Isse Swickle as Annie and Gilgamesh Tagget as Oliver Warbucks via 1937 Packard. The two strolled the red carpet, posing for pictures and signing autographs before heading off to get ready for the show. As soon as the curtain rose, the kids and I were captivated. The sets were gorgeous with backdrops that felt like they went on for miles. And the girls. These girls can sing and dance! They were just as cute and engaging as you’d hope, especially Lily Mae Stewart as Molly. Despite being the smallest (and in the story, the youngest), she has twice as much going on as anyone else in the group dance numbers. She didn’t disappoint. I thought that Isse Swickle was a bit rough around the edges with her spoken lines, sometimes failing to deliver them believably or with appropriate timing, but my kids didn’t notice and, of course, she’s just nine years old herself. And despite all of that, she does bring on a dazzling optimistic Annie smile. Although I have seen Annie live on the stage, I have a special place in my heart for the movie version. Much of this incarnation held up with wonderful energy throughout the dance numbers and a strong pace. Unfortunately, the ending felt slow and uninspired to me, lacking any sort of chase scene or peril at the end. By then, all of the favorite and familiar songs have gone by (including “I Don’t Need Anything But You”) leaving the resolution of this retelling feeling anticlimactic. It never really feels like she’s in any danger of ending up with the wrong parents, so it’s hard to muster up a lot of surprise when she doesn’t. Still, we were all so entranced by that point that we had to see the happy ending unfold. That alone says something at 9:30 pm on a Wednesday night! A few thoughts for families attending the show. First of all, it’s long at 2 hours and 30 minutes, including a 15-minute intermission. There were some very young kids there at the evening show and they were often either asleep or very restless by the end (it’s not really acceptable to hand a toddler your very bright phone in the middle of a dark theater). Second, please, please, please, arrive on time. Almost the entirety of “It’s the Hard-Knock Life” was blocked out by a latecomer who was seated in the middle the row a just a bit in front of us. And lastly, please be considerate of the performers and stay to give appropriate applause. They deserve the recognition. Overall, the kids and I had a wonderful time. 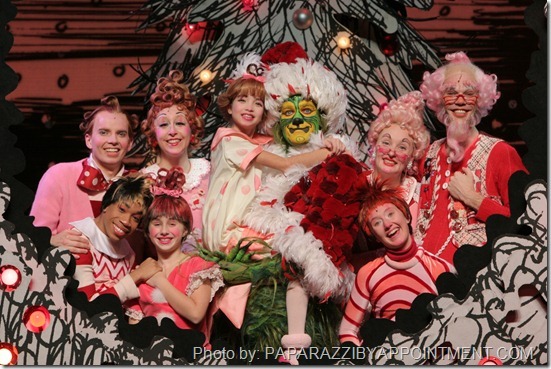 It’s a great show to introduce younger ones to the theater, and having so many kids on stage can be inspiring as well. You can easily prep for the experience by listening to the soundtrack or watching the movie (the movie is more intense than this show so it’s unlikely that kids in the theater will be scared). I highly recommend it, despite some minor shortcomings. And be prepared to be singing these songs for the next week. They’re a catchy bunch of tunes. 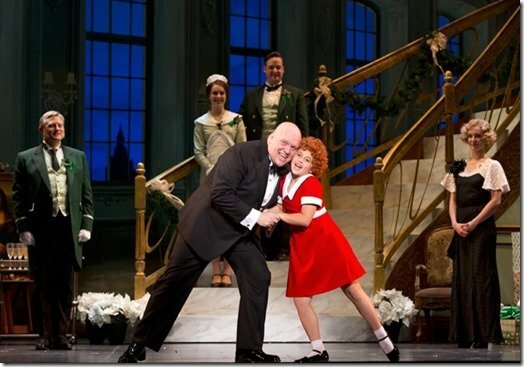 So, there’s still time for you to catch Annie, as it’s here in Boston until November 16th! As a reminder, you can save 30% per ticket on select performances by using the code MOMS. You can buy your tickets on the Citi Center website.